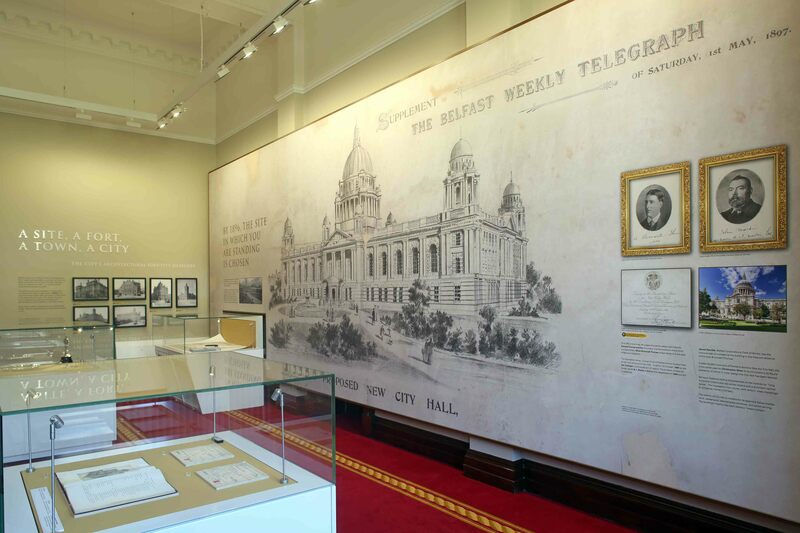 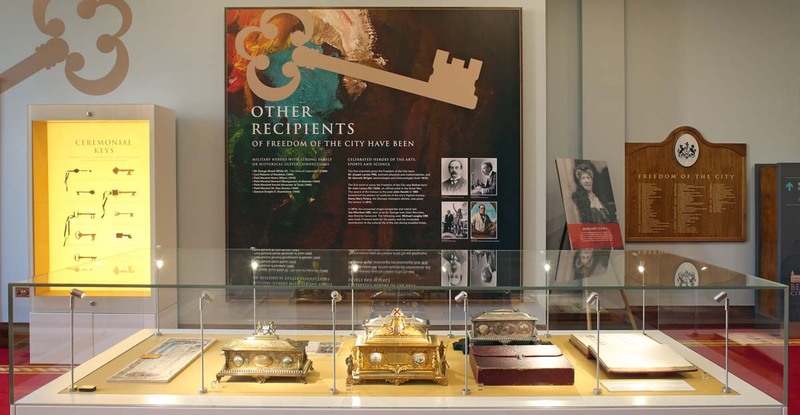 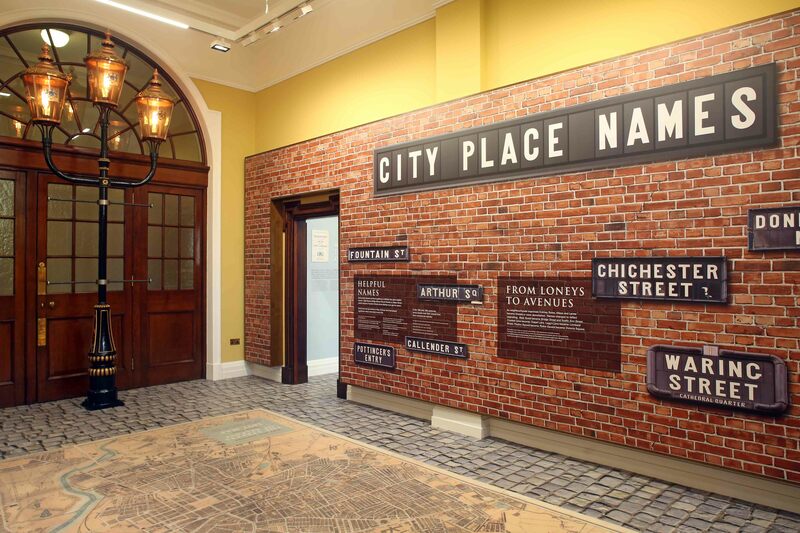 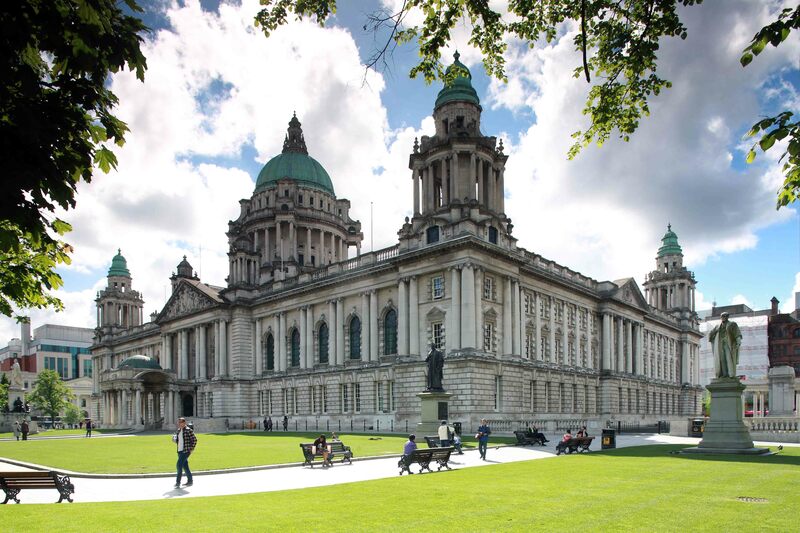 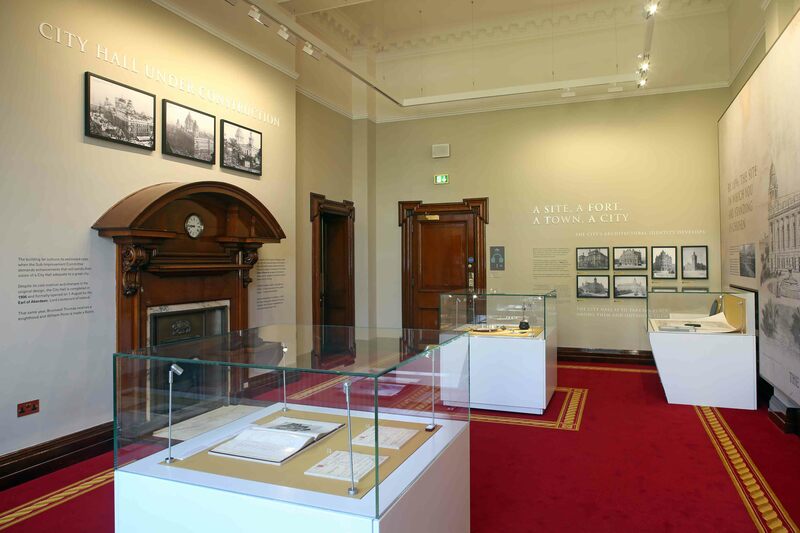 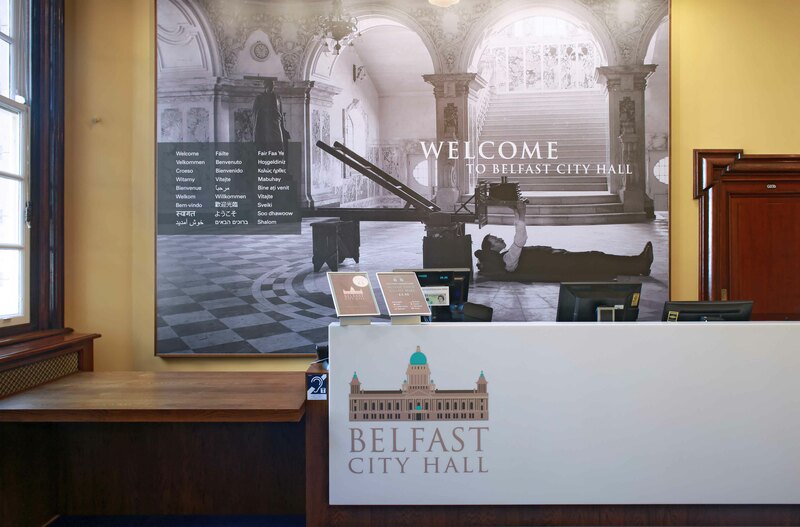 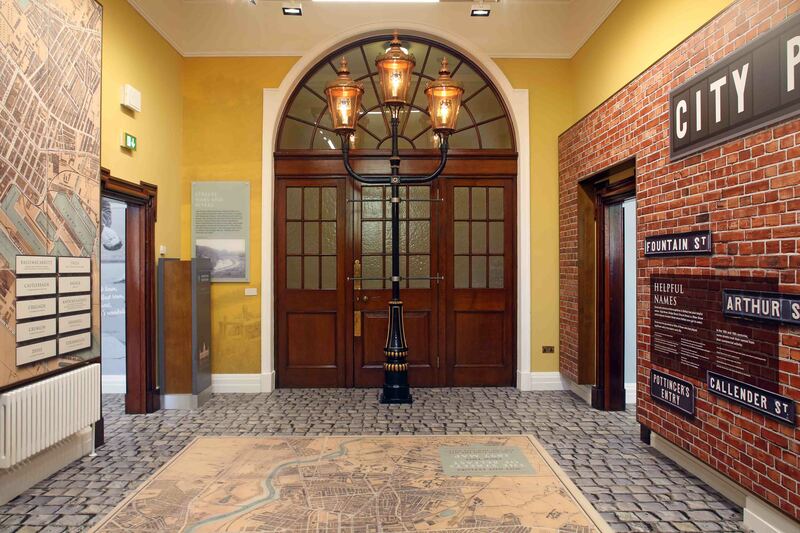 This new visitor attraction at Belfast City Hall charts the history of the city from a quiet hamlet to the vibrant, innovative, attractive city it is today. 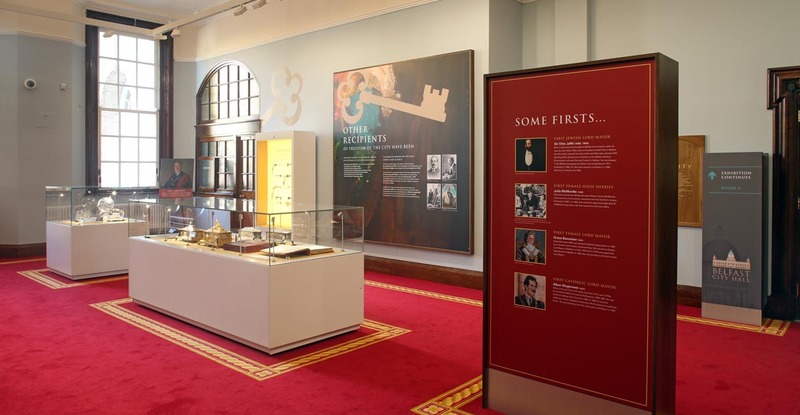 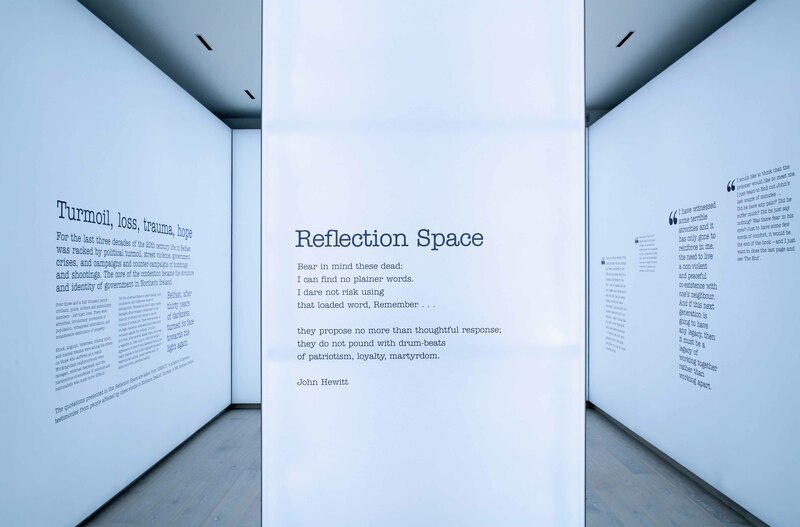 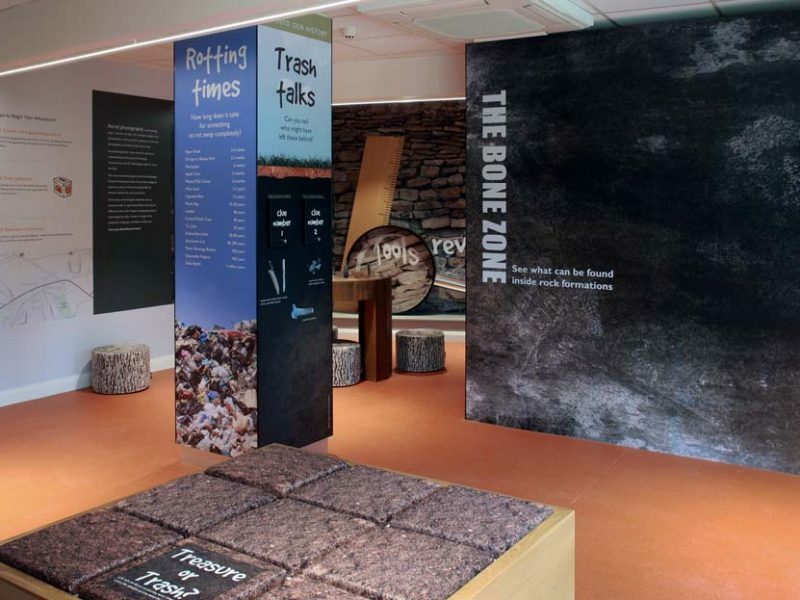 Marcon worked with interpretive designers Redhead Exhibitions to complete the self-guided visitor exhibition which takes up 16 rooms on the ground floor of the City Hall’s east wing. 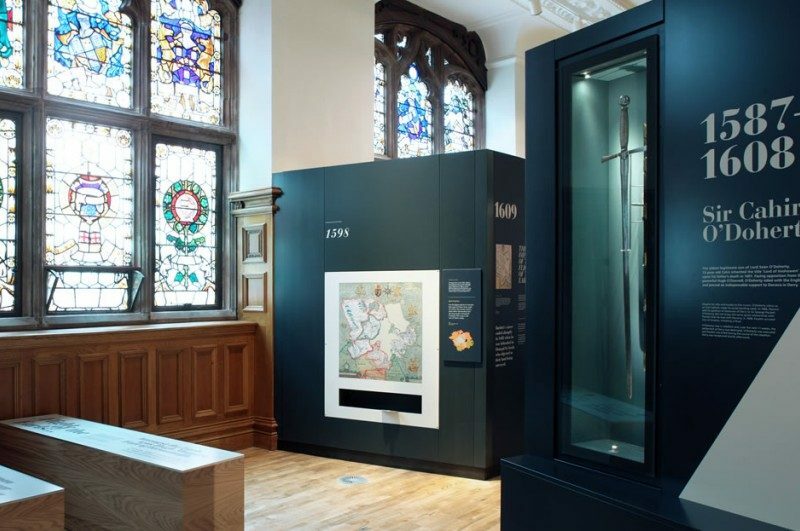 The design allows visitors to interact with the rich cultural heritage of Belfast and facilitate the effective and efficient flow of people throughout the space which includes the new exhibition, the official guided tour, the stained glass window collection and the memorial grounds. 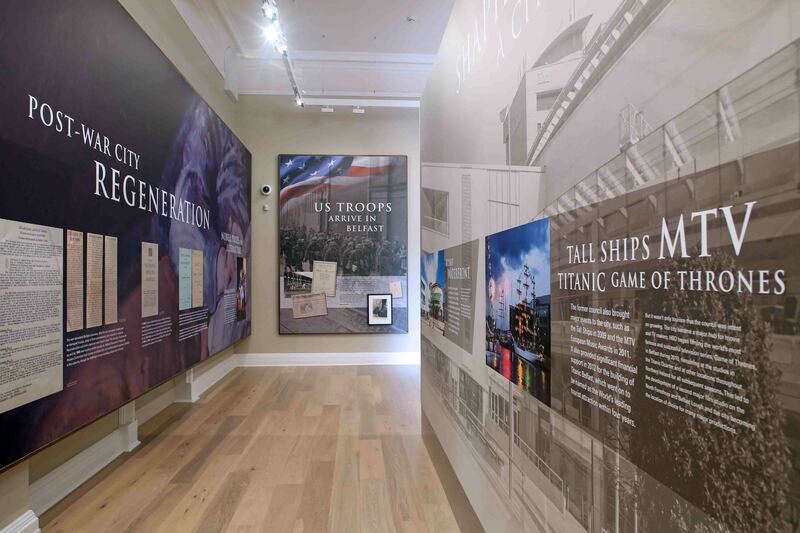 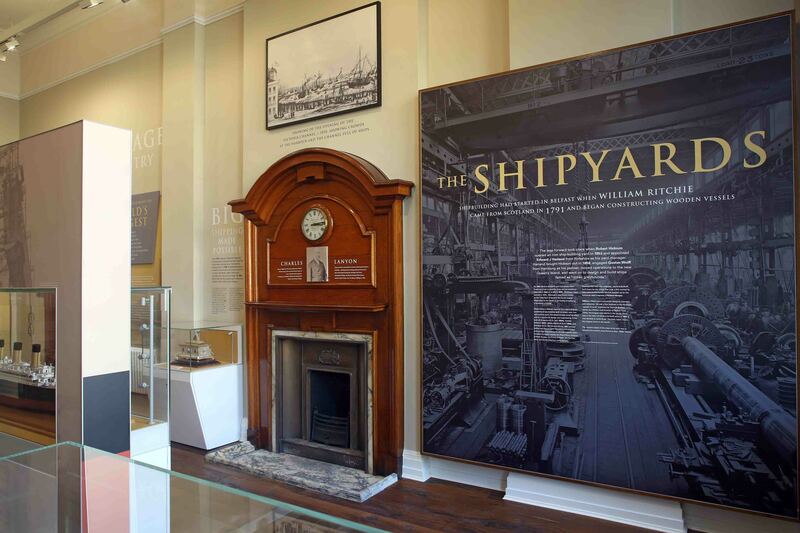 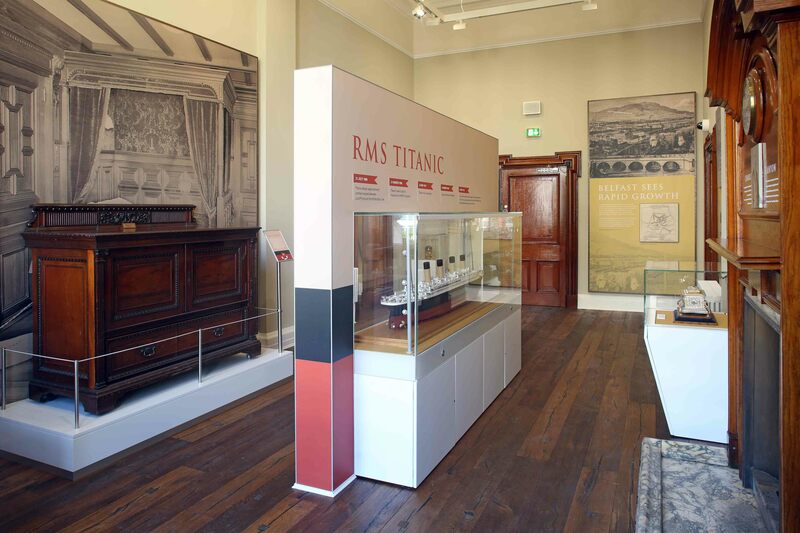 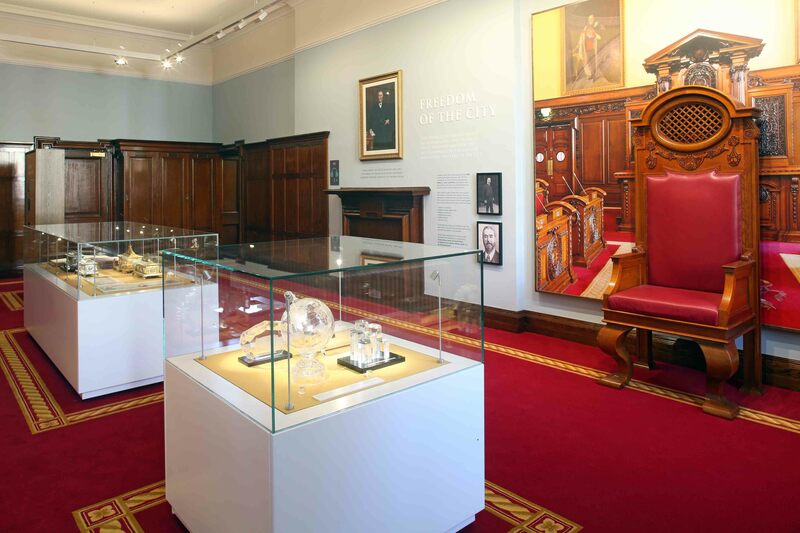 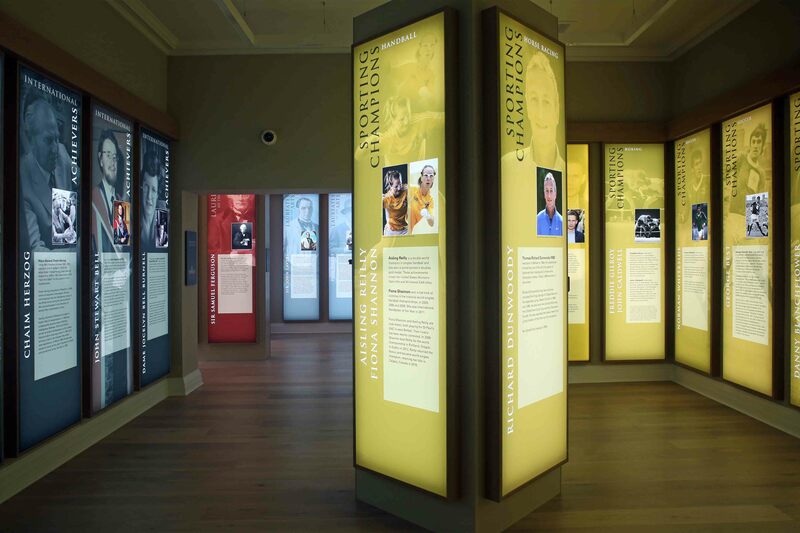 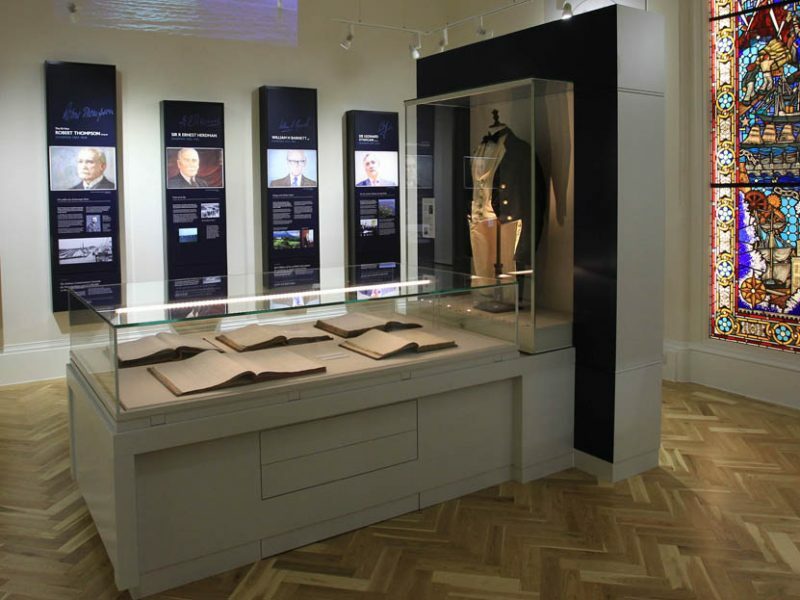 Marcon completed the fit-out of the rooms and was responsible for the installation of all of specialist joinery and fitted furniture, feature display cases to house artefacts, exhibition graphics and illuminated signage within the exhibition. 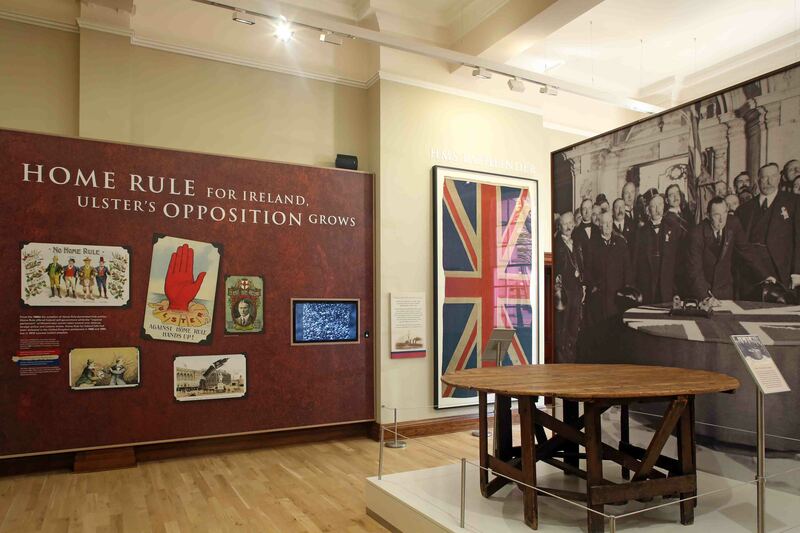 The space covers everything from the local dialect to street games, how the winds of rebellion in the late 18th century swept across the province, the importance of manufacturing and shipbuilding industries, the rise of trade unions, the First and Second World War, the Blitz, and the emergence from ‘The ‘Troubles’ to the city Belfast is today.